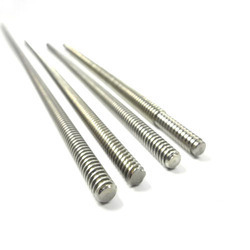 Our range of products include stainless steel threaded rods, alloy steel threaded rods, nickel alloys threaded rods and carbon steel threaded rods. NeelKamal steels are loved by the people owning to its quality product when it comes to steel bars. The alloy of steel that is used for the making of the rods is carbon steel. The Stainless Steel Threaded Rods produced by us are strong because we take care that the carbon content is high. High carbon content ensures that the rods are durable and hard enough to lift up all the extra weights. 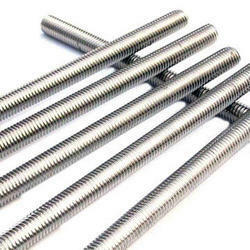 Stainless Steel Threaded Rods are used in many purposes. It is used in construction of houses and also in many of the industries. The extensive use of Stainless Steel Threaded Rods has given way to high competition in the market. The Stainless Steel Threaded Rods produced by NeelKamal steels stand out with their quality and durability. These Stainless Steel Threaded Rods are long lasting so there is no need to worry about your house falling down once you uses NeelKamal steels Stainless Steel Threaded Rods in the construction. NeelKamal steels are loved by the people owning to its quality product when it comes to steel bars. The alloy of steel that is used for the making of the rods is carbon steel. The Nickel Alloys Threaded Rods produced by us are strong because we take care that the carbon content is high. High carbon content ensures that the rods are durable and hard enough to lift up all the extra weights. Nickel Alloys Threaded Rods are used in many purposes. It is used in construction of houses and also in many of the industries. The extensive use of Nickel Alloys Threaded Rods has given way to high competition in the market. The Nickel Alloys Threaded Rods produced by NeelKamal steels stand out with their quality and durability. 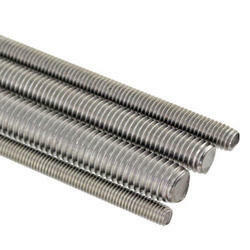 These Nickel Alloys Threaded Rods are long lasting so there is no need to worry about your house falling down once you uses NeelKamal steels Nickel Alloys Threaded Rods in the construction. NeelKamal steels are loved by the people owning to its quality product when it comes to steel bars. The alloy of steel that is used for the making of the rods is carbon steel. The Carbon Steel Threaded Rods produced by us are strong because we take care that the carbon content is high. High carbon content ensures that the rods are durable and hard enough to lift up all the extra weights. Carbon Steel Threaded Rods are used in many purposes. It is used in construction of houses and also in many of the industries. 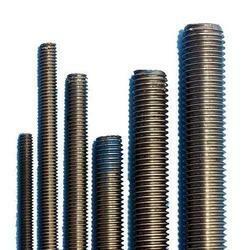 The extensive use of Carbon Steel Threaded Rods has given way to high competition in the market. The Carbon Steel Threaded Rods produced by NeelKamal steels stand out with their quality and durability. These Carbon Steel Threaded Rods are long lasting so there is no need to worry about your house falling down once you uses NeelKamal steels Carbon Steel Threaded Rods in the construction.